I had a nifty ride today in Knoxville, TN which I will soon describe, but yesterday's trip to the Norris Lake at Clinch River was BikerBuck's favorite outing of this whole trip and I just gotta share. Sara had reserved a 5 hr. 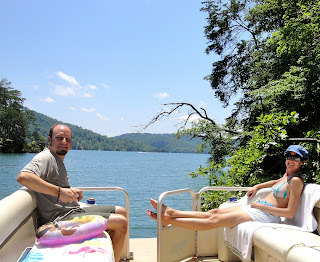 rental of a pontoon boat from the Beach Island Marina Resort, about an hour's drive from home. Over the past several days we've been checking the weather forecast and we were facing iffy prospects at best. The Resort actually phoned to assure us that there would be no cancellation charge if we bailed. 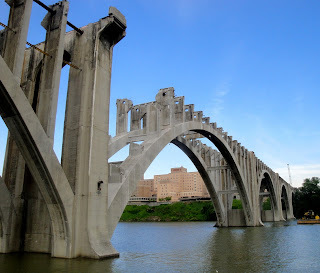 But the morning broke softly and we literally took the plunge - and it turned out great. Rick and Sara chillin' on the foredeck. 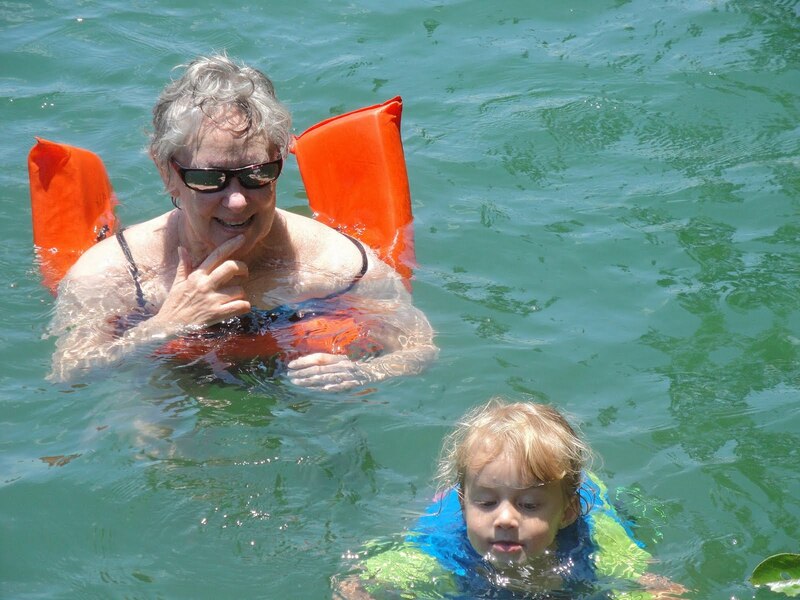 Nana could barely keep up with our little tadpole. 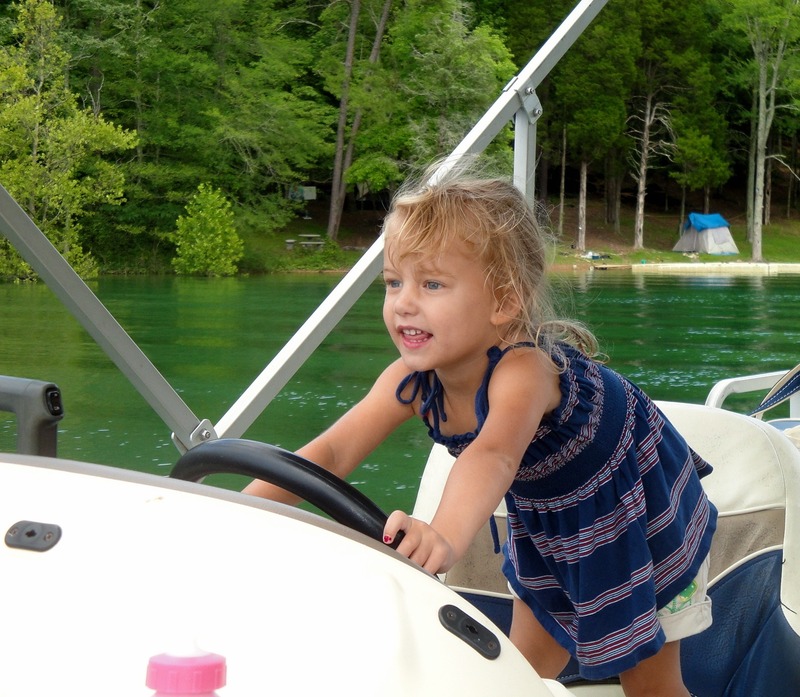 I never would have guessed how much fun a pontoon boat could be. 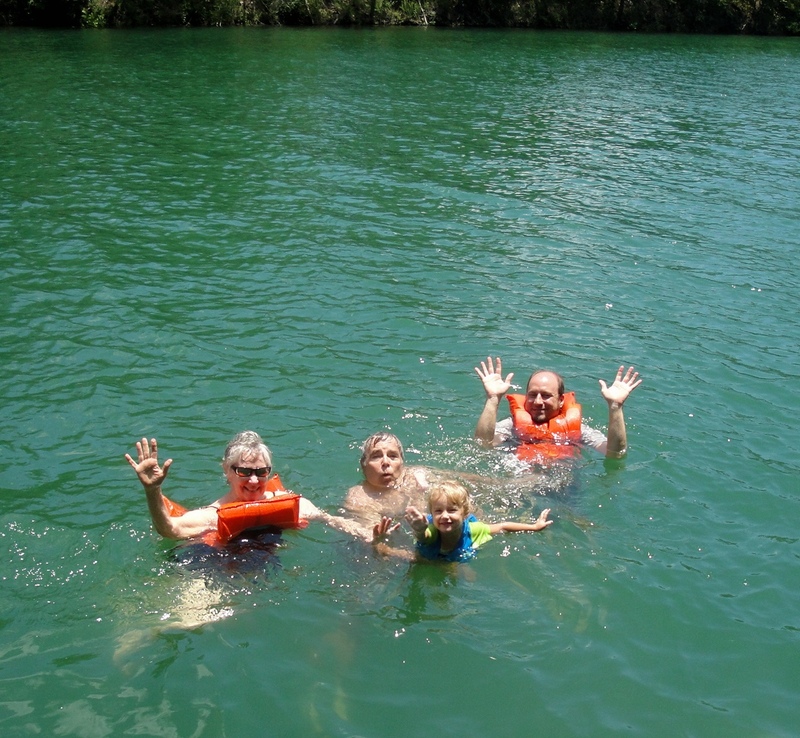 Obviously the weather was perfect, and the lake was ideal. Gave me a whole new perspective on the Love Boat concept. Anchors aweigh! 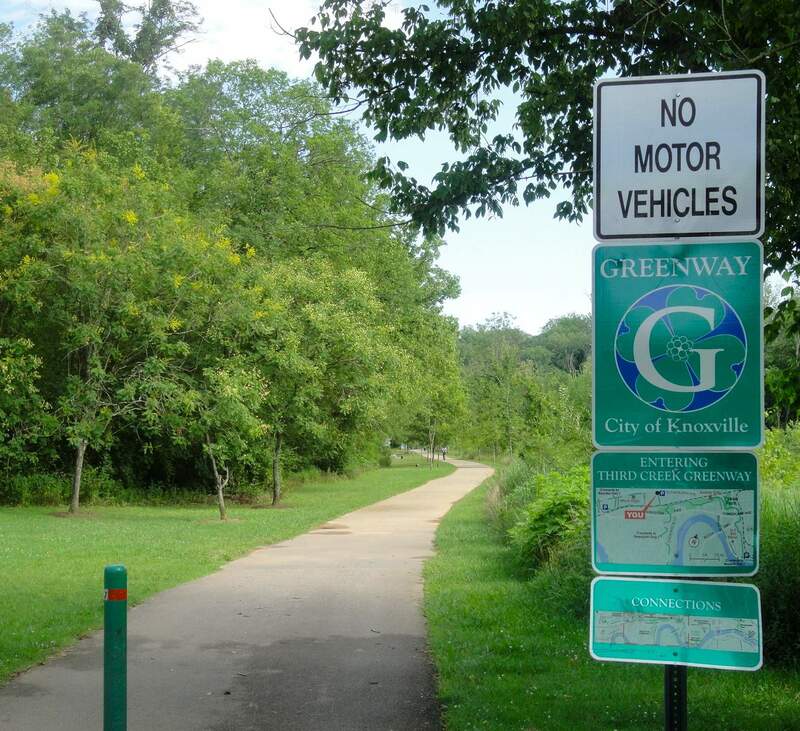 Knoxville is known for its commitment to establishing a network of Greenways that feature multi-use paved trails in all the right places. Gaps between trails are apt to be frustrating when planning a ride of more than 10 miles or so. But a little local knowledge goes a long way in route planning, along with easily available maps to get you started. 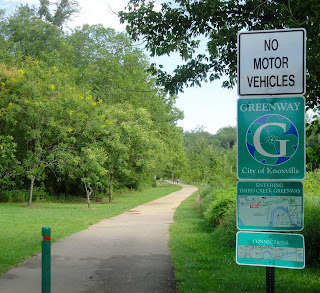 The Third Creek Greenway trail was the backbone of my 50k route. 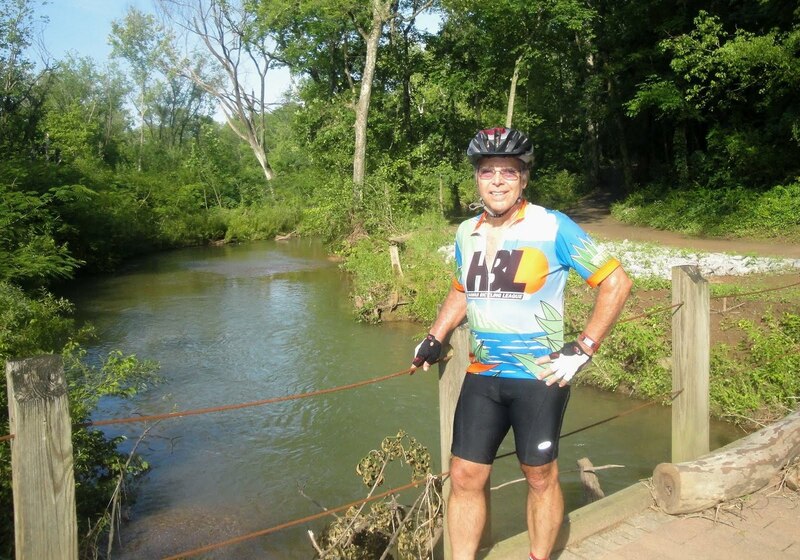 Following the severe storms of the past week, there were seven major trail blockages and one major detour cause by fallen trees and flooding. 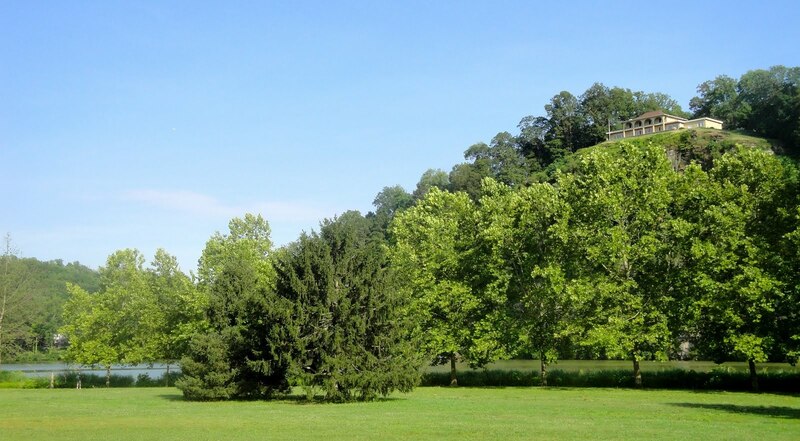 The Sequoyah Greenway and Park were absolutely breathtaking. Stunning riverside homes, and the occasional ridgetop mansion, were delectable eye candy. 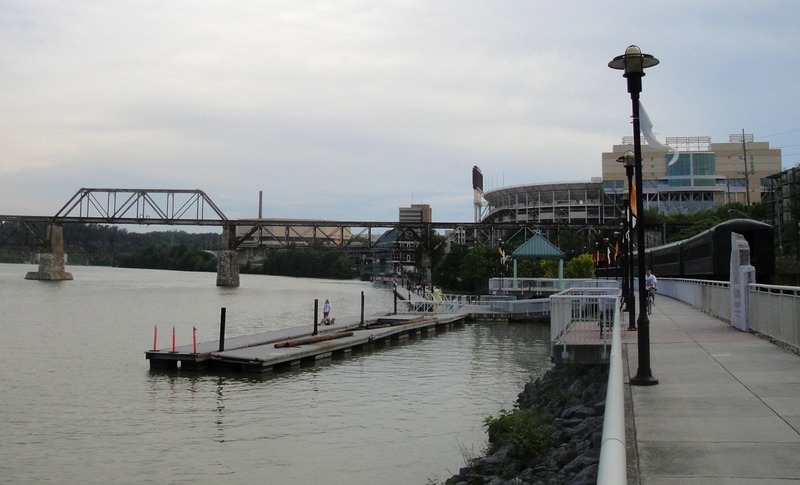 The Volunteer Landing, near the famous Neyland Stadium, along the Tennessee river in downtown Knoxville is ground zero for UT football fans on game day. 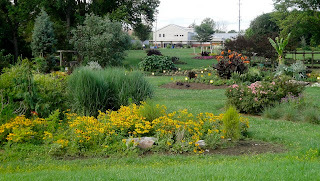 My route took me through parts of the University of Tennessee campus, including the beautiful Experimental Gardens where Doni and I have spent memorable hours with Sara, Rick and Kali. The iconic old Henley St. Bridge is being respectfully dismantled. 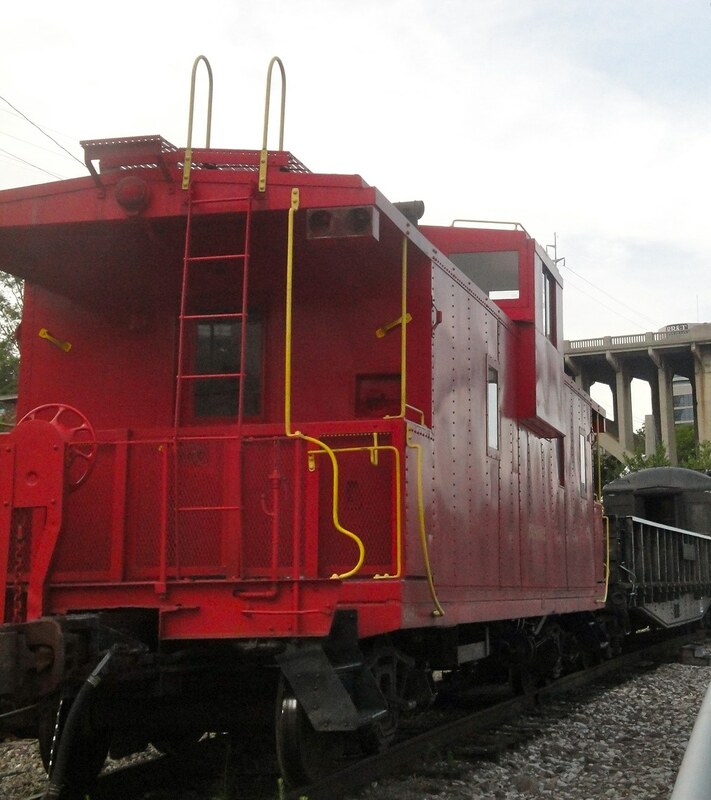 A rail spur still carries passengers into town. 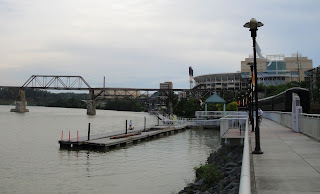 This week marks our fourth or fifth trip to Knoxville in the past couple years since Sara and family moved here. 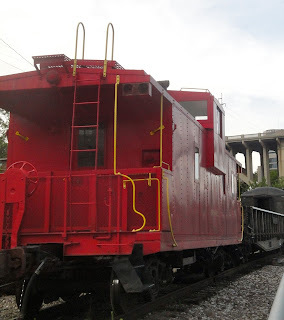 Every visit has presented new outings and unique experiences. It's a great place to explore and a wonderful place to just sit still. Naturally having our granddaughter here is the number one attraction, but the location never fails to deliver its own special treats. There are no immediate plans for BikerBuck's next ride. Just hangin' lose for now. Catch you later.